Vital Rookie Card of an All Time Great player, this is an awfully nice card for the grade. Understandably a very hot card in recent years, this is one of the betters 5s one is likely to find. The color and image quality really make this card, as they are superb. The back looks great, including the color borders. The front borders are white, the image of Aaron really could not be any cleaner. Very well centered, the corners come to points but exhibit only minute wear. 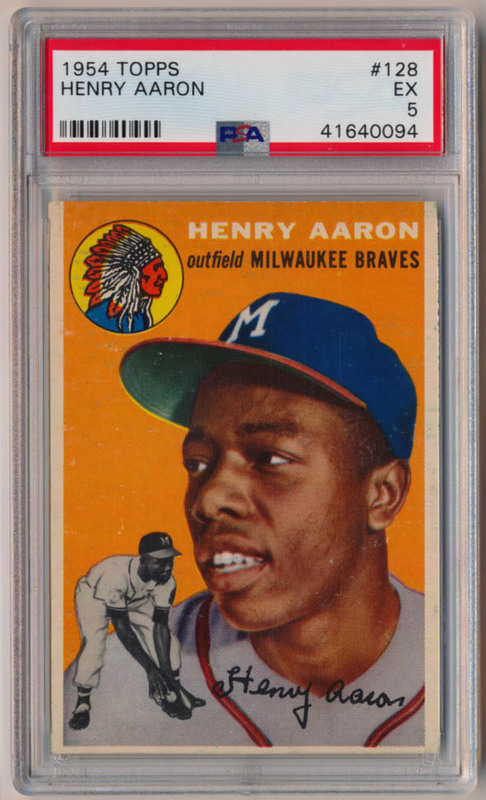 If you are looking for a better Aaron Rookie 5, you will want to take a good look at this card.